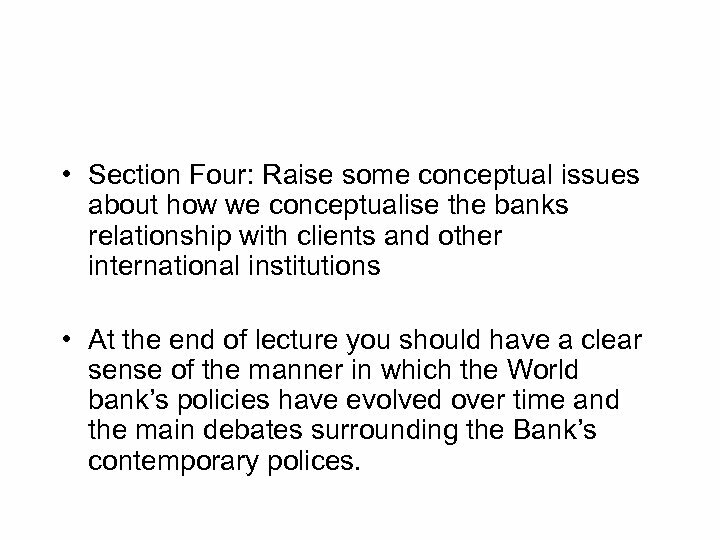 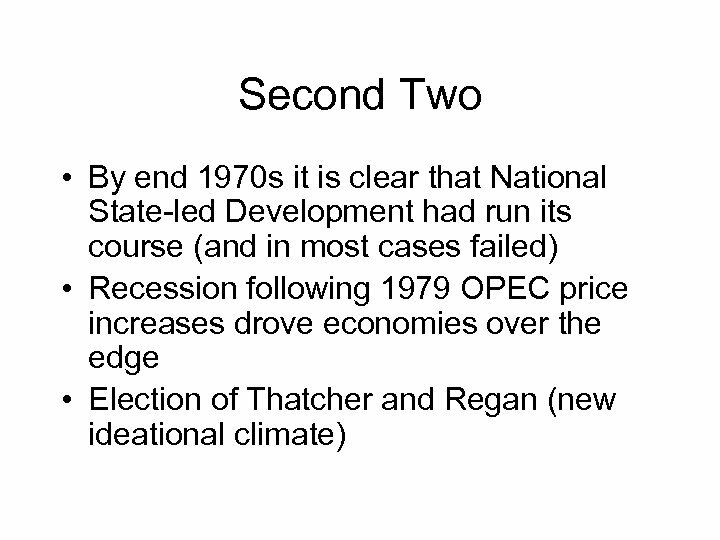 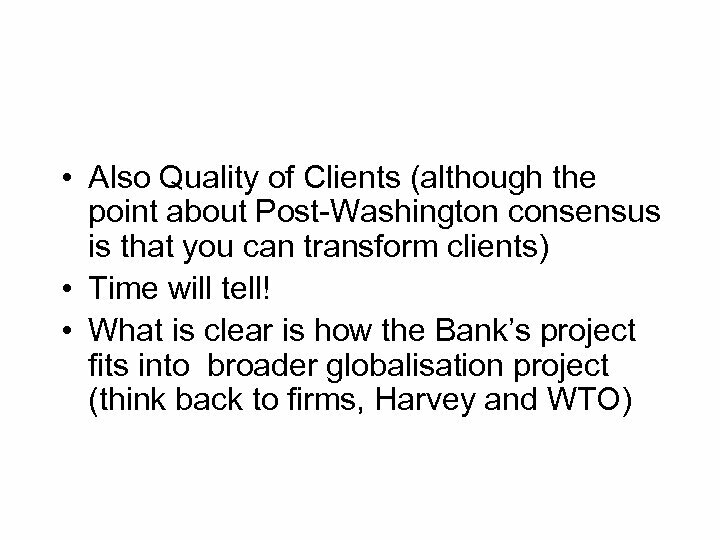 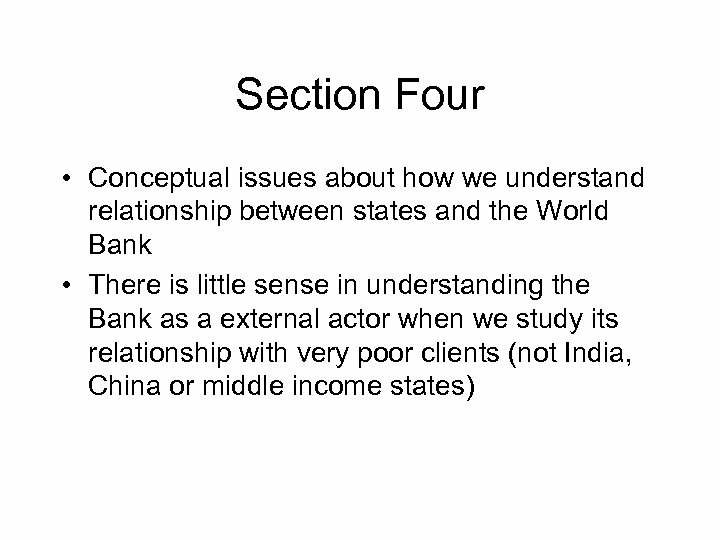 • Section Four: Raise some conceptual issues about how we conceptualise the banks relationship with clients and other international institutions • At the end of lecture you should have a clear sense of the manner in which the World bank’s policies have evolved over time and the main debates surrounding the Bank’s contemporary polices. 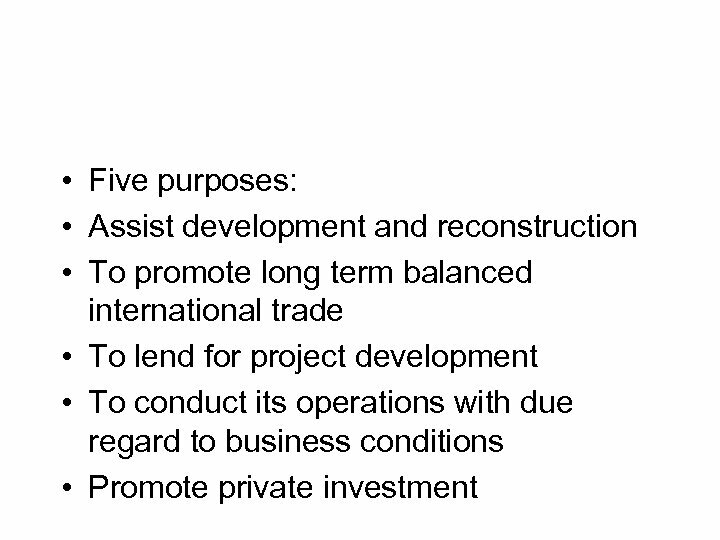 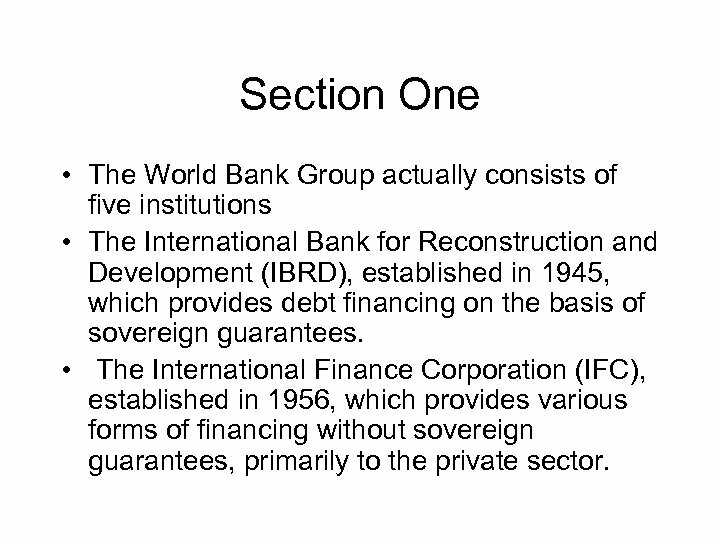 Section One • The World Bank Group actually consists of five institutions • The International Bank for Reconstruction and Development (IBRD), established in 1945, which provides debt financing on the basis of sovereign guarantees. 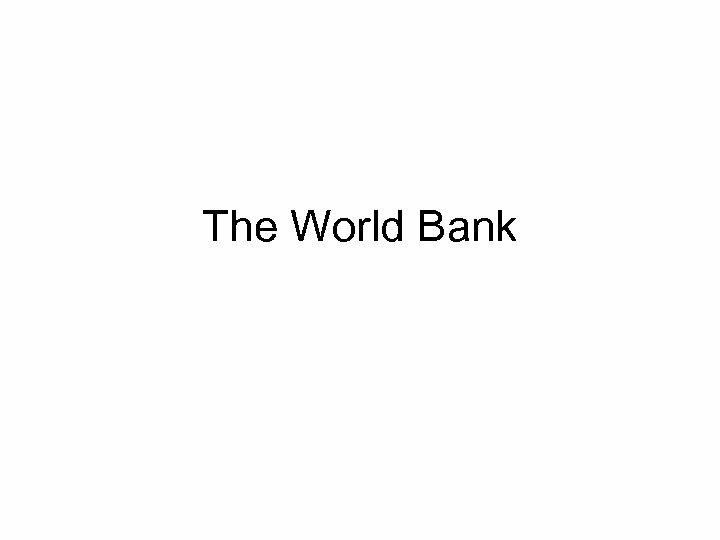 • The International Finance Corporation (IFC), established in 1956, which provides various forms of financing without sovereign guarantees, primarily to the private sector. 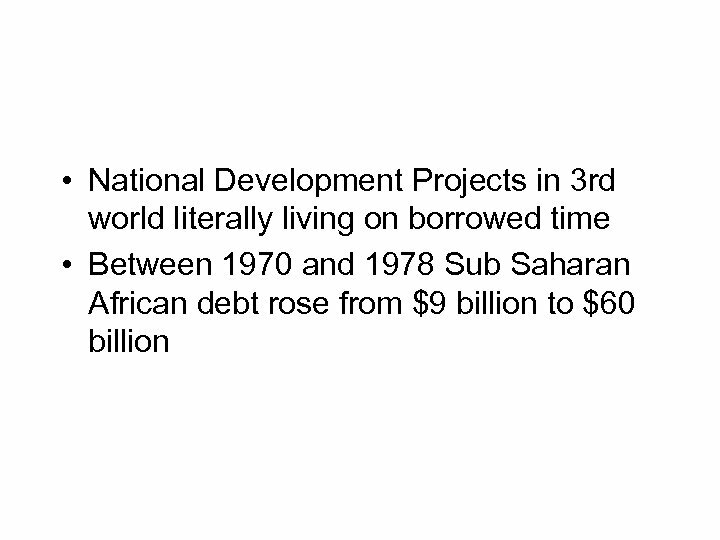 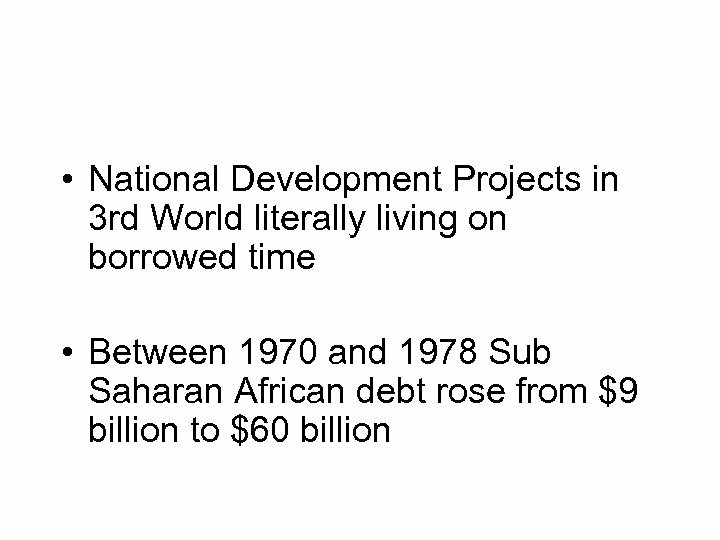 • The International Development Association (IDA), established in 1960, which provides concessional financing. 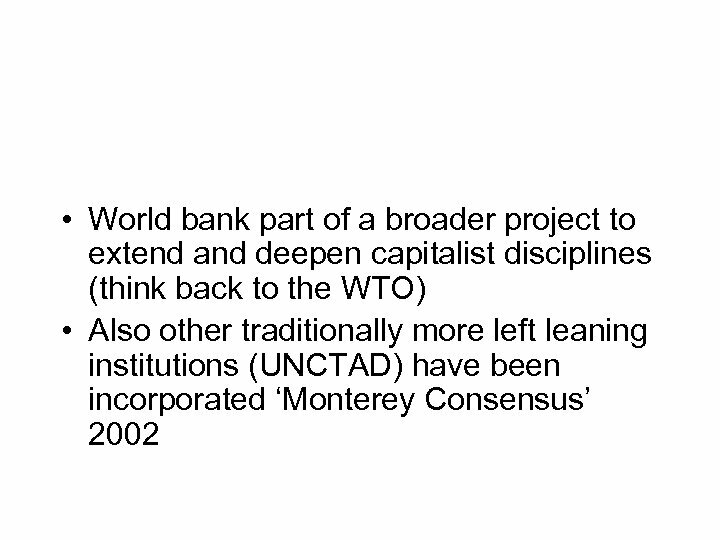 • The Multilateral Investment Guarantee Agency (MIGA), established in 1988, which provides insurance against certain types of risk, including political risk, primarily to the private sector. 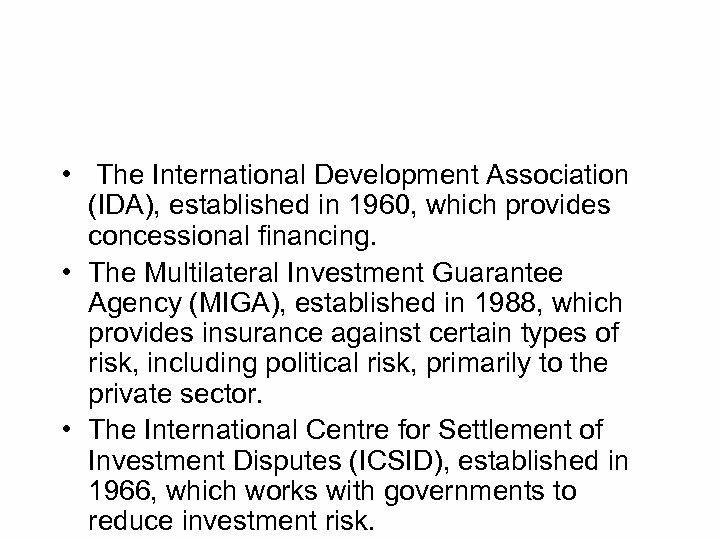 • The International Centre for Settlement of Investment Disputes (ICSID), established in 1966, which works with governments to reduce investment risk. 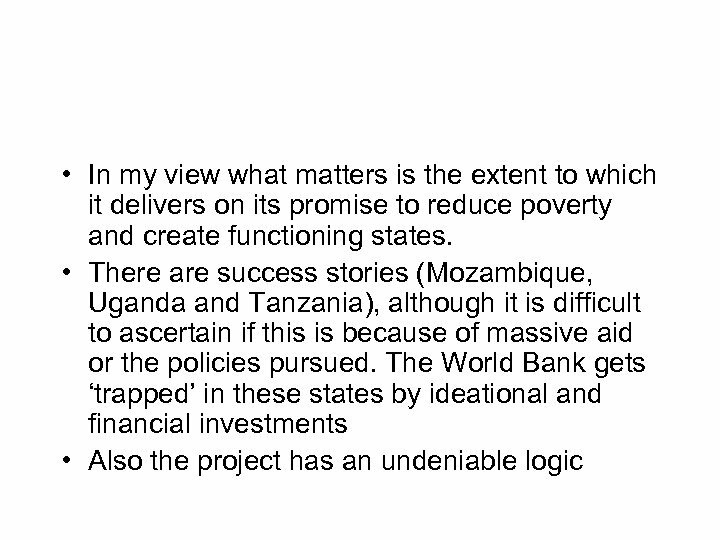 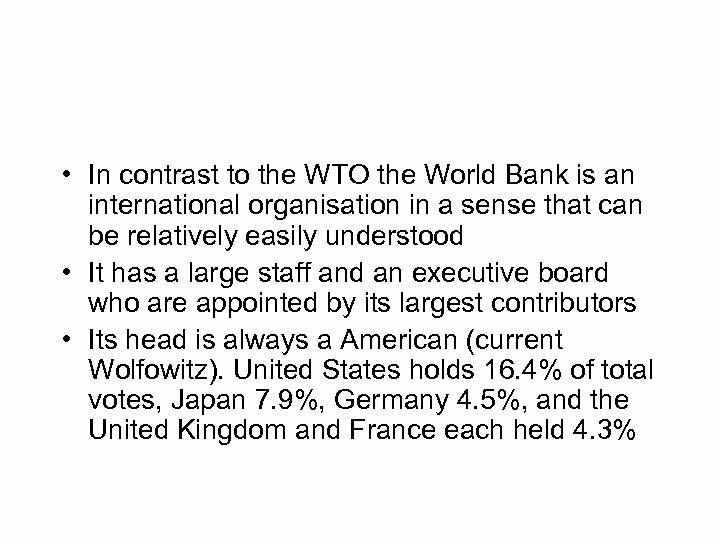 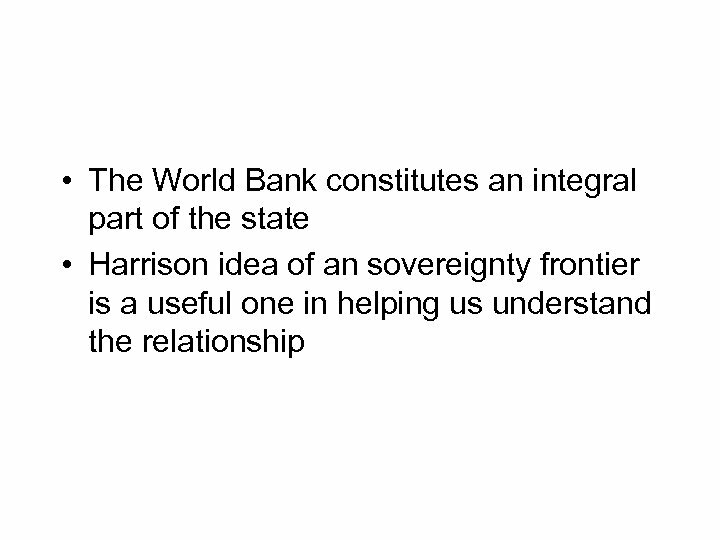 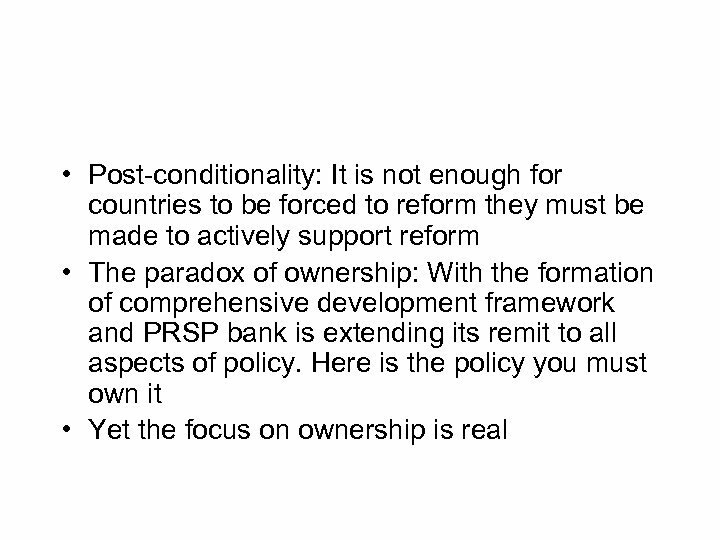 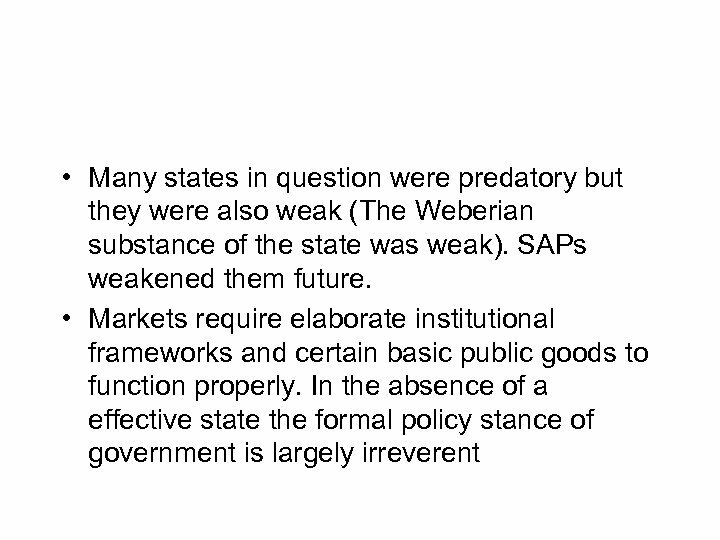 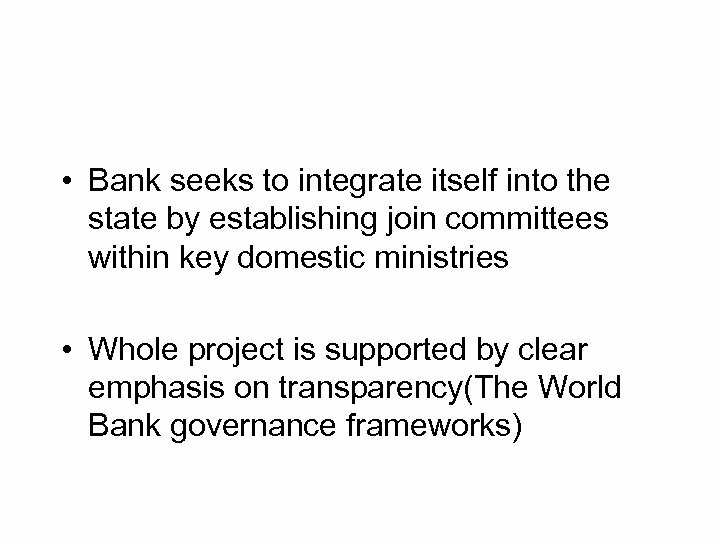 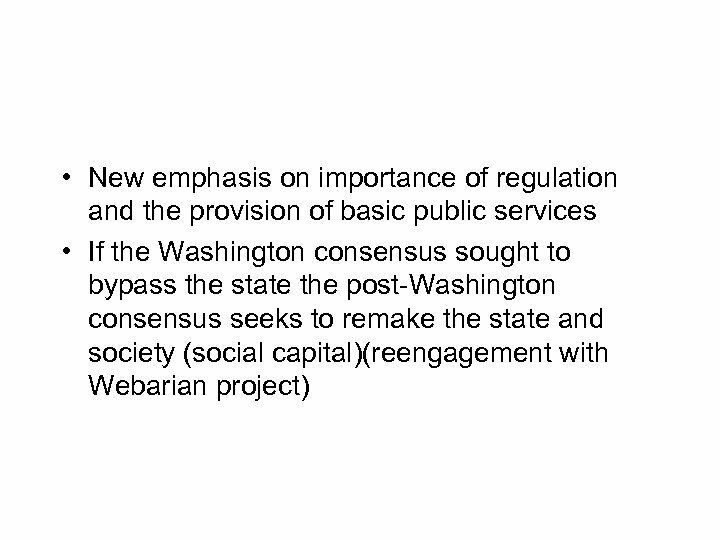 Section Three • Post-Washington Consensus: The World Bank rediscovers the state • What new and what is not new about the Post-Washington consensus? 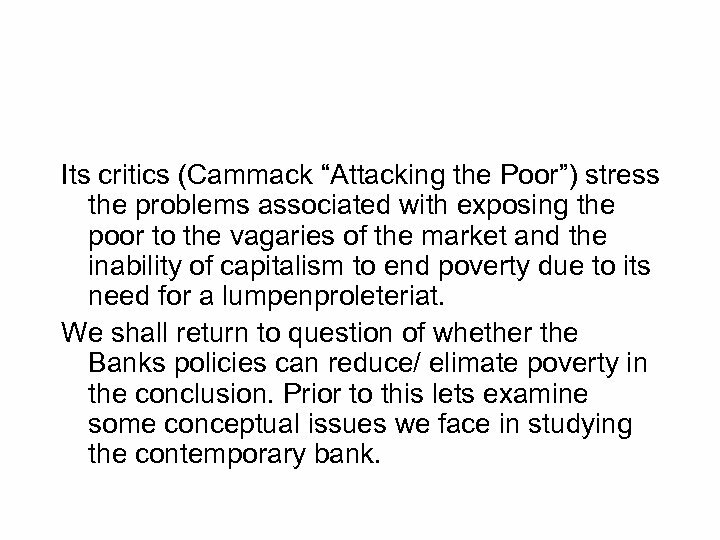 Its critics (Cammack “Attacking the Poor”) stress the problems associated with exposing the poor to the vagaries of the market and the inability of capitalism to end poverty due to its need for a lumpenproleteriat. 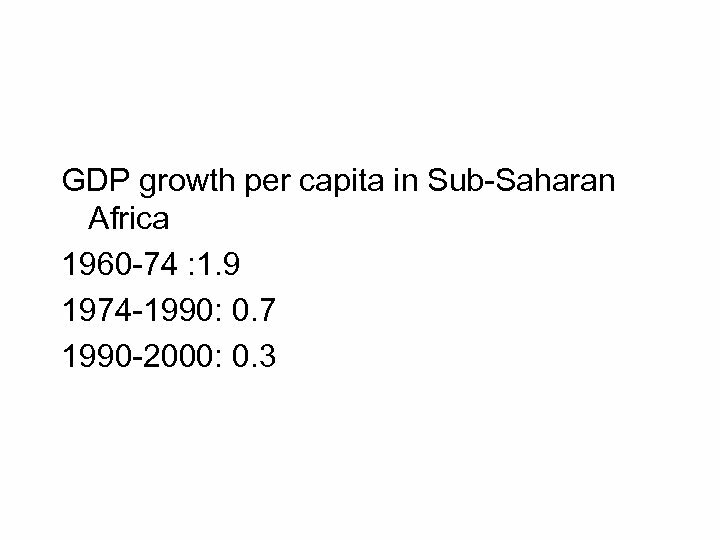 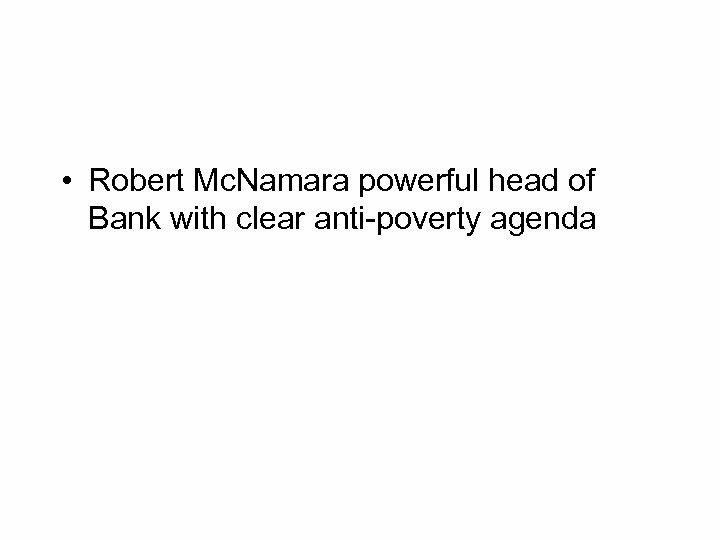 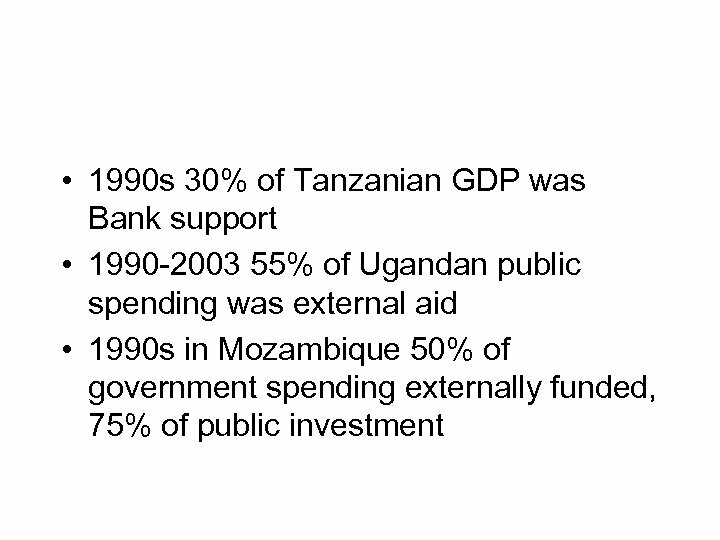 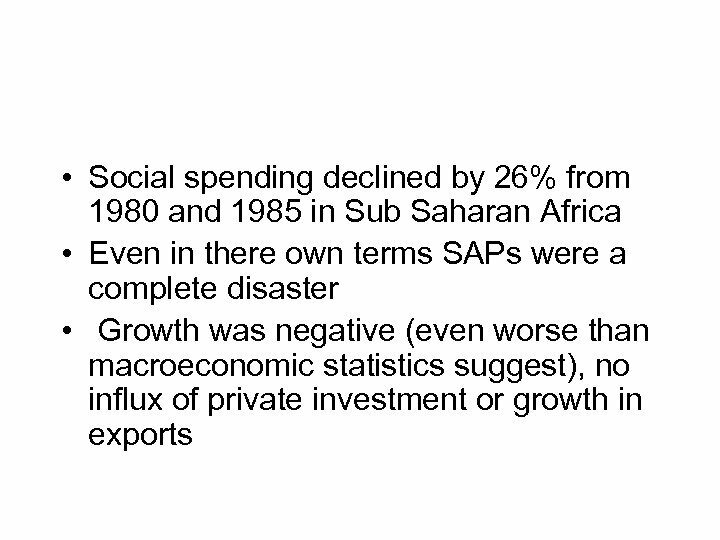 We shall return to question of whether the Banks policies can reduce/ elimate poverty in the conclusion. 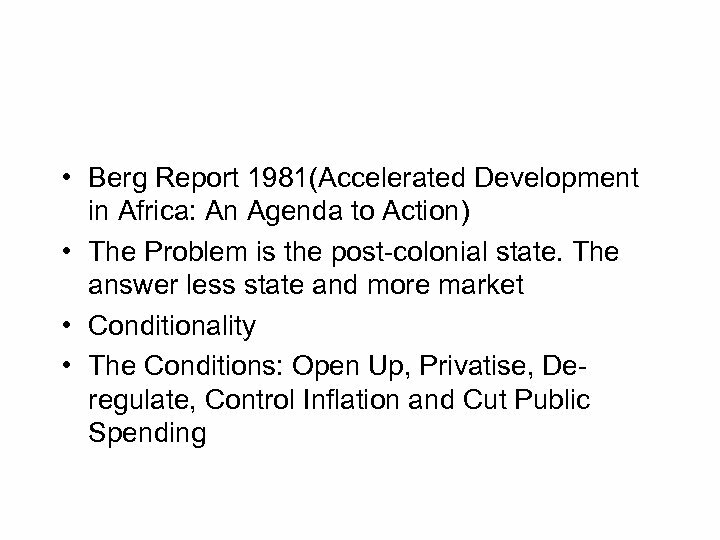 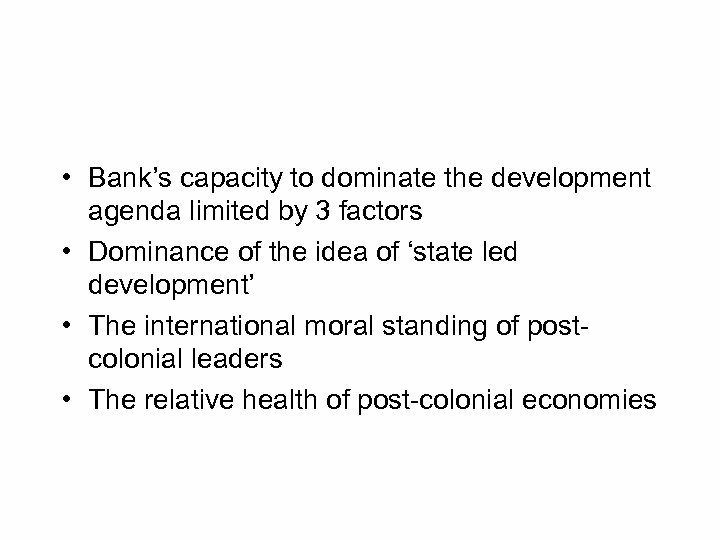 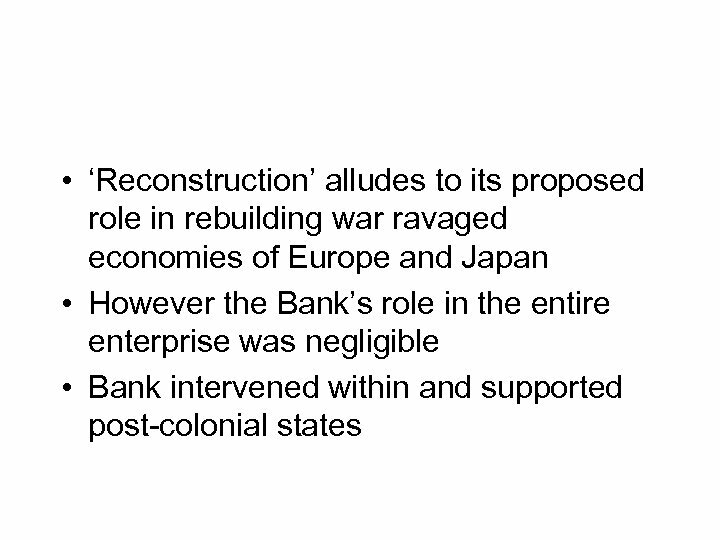 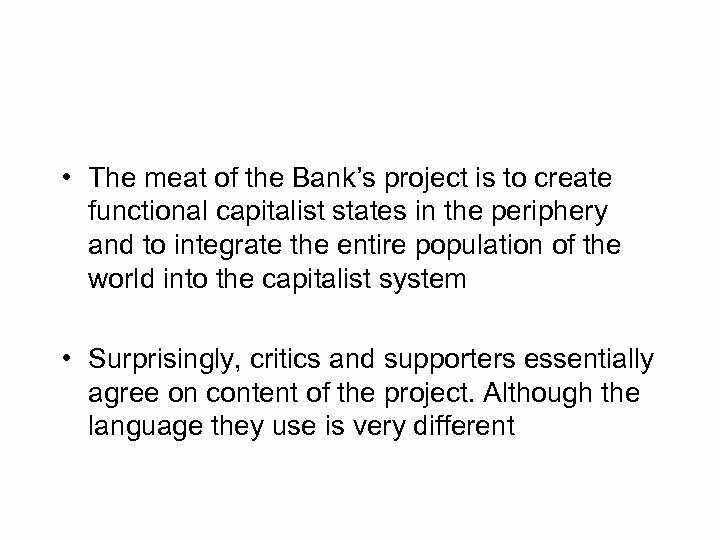 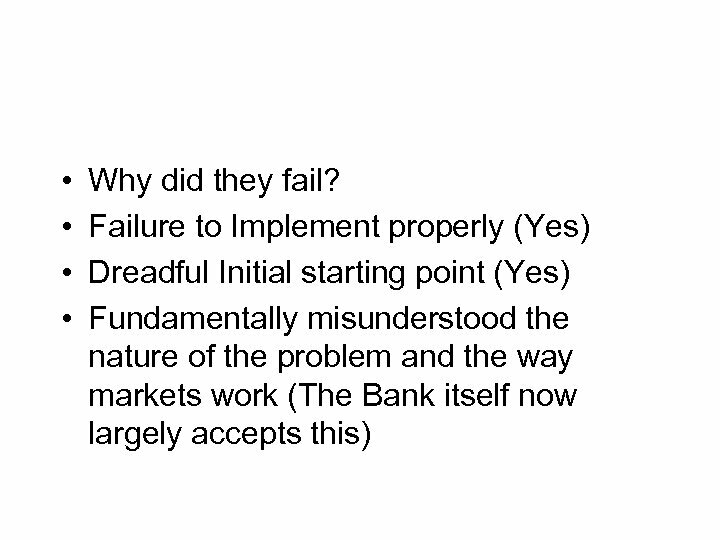 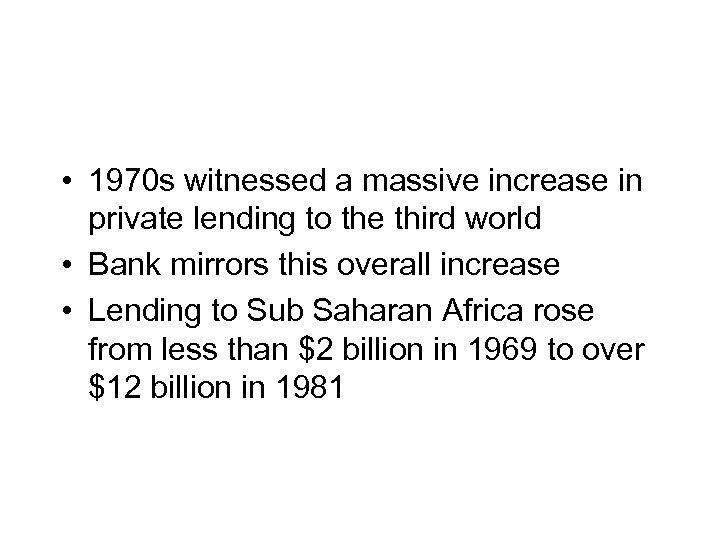 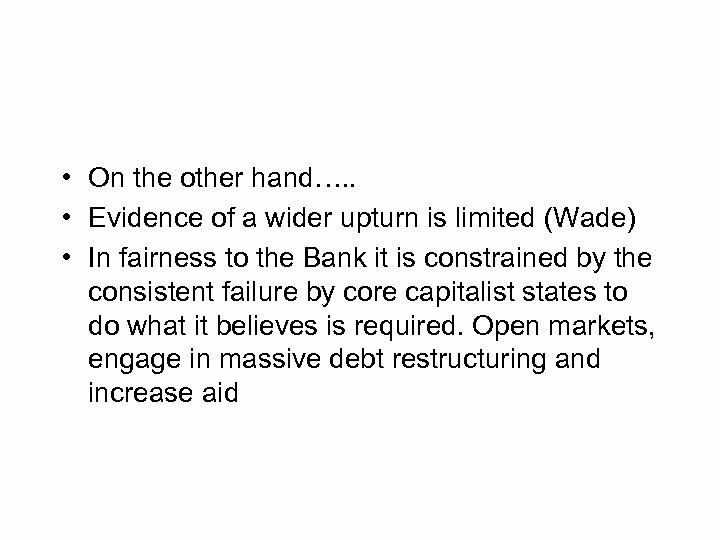 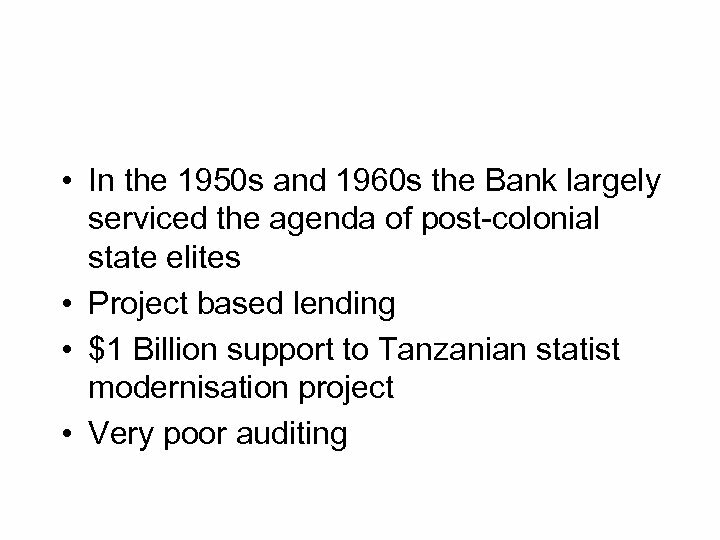 Prior to this lets examine some conceptual issues we face in studying the contemporary bank. 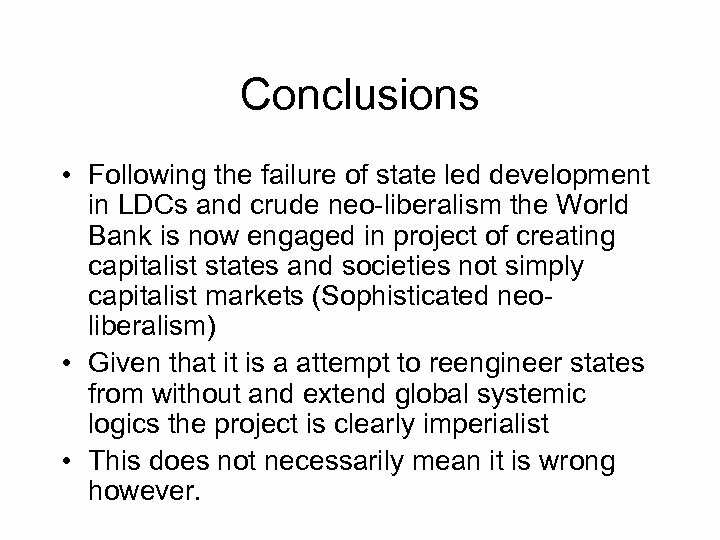 Conclusions • Following the failure of state led development in LDCs and crude neo-liberalism the World Bank is now engaged in project of creating capitalist states and societies not simply capitalist markets (Sophisticated neoliberalism) • Given that it is a attempt to reengineer states from without and extend global systemic logics the project is clearly imperialist • This does not necessarily mean it is wrong however. 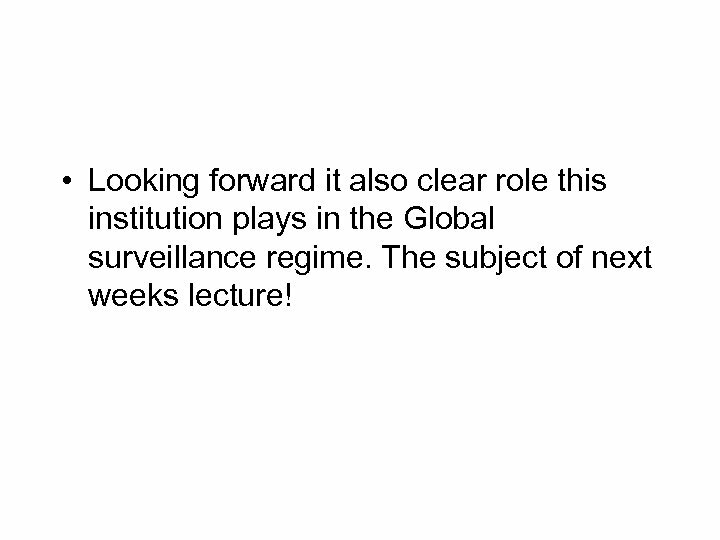 • Looking forward it also clear role this institution plays in the Global surveillance regime. 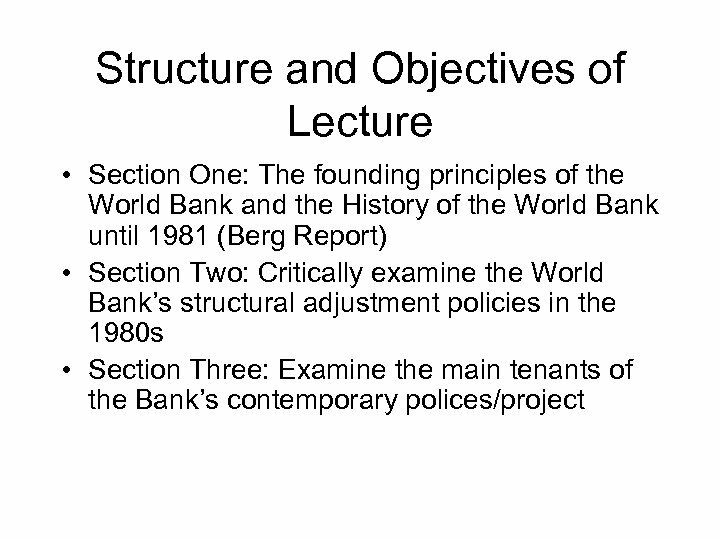 The subject of next weeks lecture!